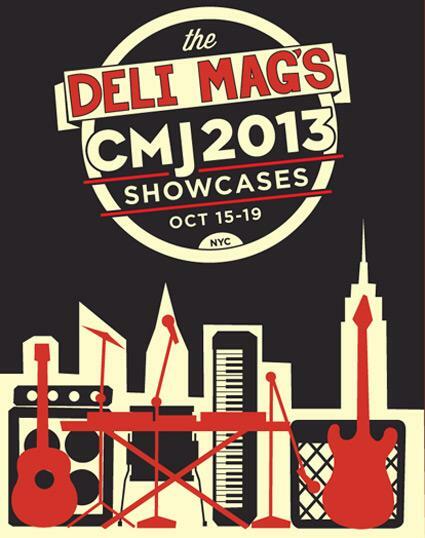 We can finally announce The Deli's Official CMJ Music Marathon 2013 Showcases! The lineups are not 100% finalized - in particular the one for the Friday 10.18 shows at Pianos, we'll posts updates soon. As promised, we booked a few artists from the more than 850 online submissions. 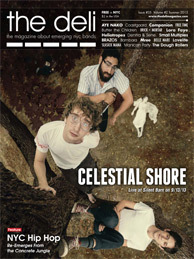 These bands are Steffaloo (LA), Loveskills (NYC), Walking Shapes (NYC), Howth (NYC), Dead Stars (NYC) and Goste (NYC). Normally when you discover local indie bands, you find out that they are trying to force their music into the ears of anyone who will listen. Most bands have their demos and LPs available everywhere for free (or for very little cash). Portland, Maine’s Metal Feathers appear to laugh in the face of that marketing approach, and that is something I really admire. 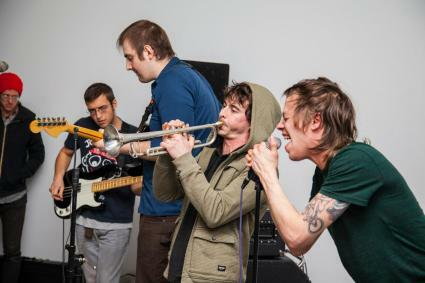 I first saw these guys at a show in Cambridge, MA last week and I was really impressed by their music. It’s raw, energetic rock n’ roll, with some perfectly sloppy guitar solos and straight-ahead drum beats. These guys put on a great show, and I’m excited get my hands on some of their material. Their most recent release, Handful of Fog, is available through Teenarena Records, but good luck finding it elsewhere online. Their bandcamp discography lists their albums, but is deliberately sparse--to the point of nonexistence--with streaming tracks. One thing they do update, however, is their Facebook page. Be sure to check that out for updates on when the band will be coming through a town near you. Submit to be considered for The Deli's CMJ shows! The Deli is looking to book 3 or more artists based in the 12 scenes we cover (list here) for various shows we booked in the LES and Williamsburg during the CMJ Music Marathon. This year's venue include Pianos, Rockwood Music Hall, The Delancey and Spike Hill. To be considered, all you need to do is go HERE and fill out the form by August 18, 2013. Put simply, Living for Dead Labor, the newest release by Portland, Maine’s Conjjjecture has everything you could ever want in a great album from local talent. 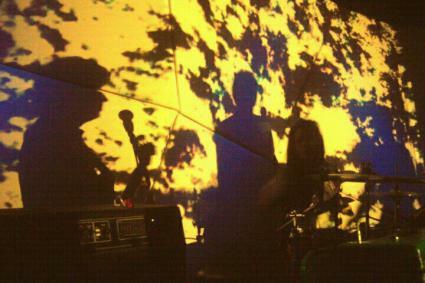 The band manage to perfectly combine electro grooves with excellent guitar work. The incorporation of a trumpet on the tracks makes these songs really stand out. It adds an extra layer of aural joy to the mix, filling-out the tracks to their maximum potential. I knew this was a good record right from the start when I heard the opening track, “Phobophobic,” and simultaneously wanted to go out and rage and chill out on my porch with a beer. It’s quite an unusual--but freakin’ awesome--feeling. The rest of the album does not disappoint, holding that same unique energetic and laid-back feel through all ten tracks. Be sure and check out the band’s Facebook page for updates about when they will be passing through a city near you!